Learn how to take full advantage of existing hardware investments by maximising hardware efficiency. This live webinar was broadcasted on Wednesday 15th Mach 2017. Watch it on-demand now. Data center operators are quickly becoming more automated and need to have the flexibility to leverage their hardware infrastructure more efficiently. Canonical’s Metal as a Service (MAAS) solution enables operators to deploy physical hardware at the speed of cloud. Speakers: Dariush Marsh-Mossadeghi, Consulting Architect and Chris Wilder, Cloud Content. 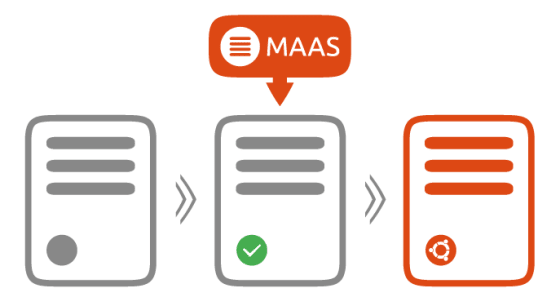 By automating these functions MAAS eliminates the extensive manual process required for traditional server operations and allows organisations to become more operationally efficient. IT customers need to have the flexibility of not ripping and replacing their entire infrastructure to take advantage of the opportunities the cloud offers. This is why new architectures and business models are emerging. Canonical’s MAAS is a mature solution to help organisations to take full advantage of their cloud and legacy hardware investments. As 14.04 reaches the end of its five-year, Standard Security Maintenance, LTS window in April 2019, support for the OS is transitioning into a new phase – Extended Security Maintenance (ESM).